If we anchor vitality and resilience in our societies we can walk together into a better future. Stewarding transformations needs to become the day-to-day management approach of governments, development agencies, corporations and civil society activists. 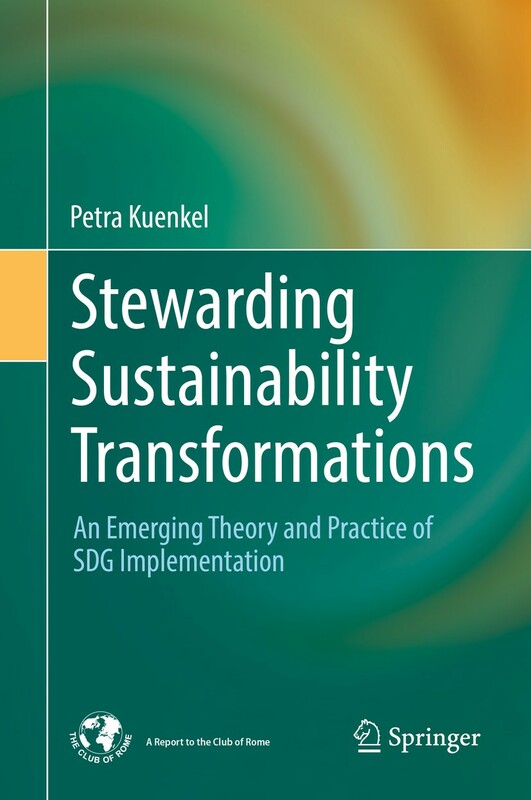 The book Stewarding Sustainability Transformations- An Emerging Theory and Practice of SDG Implementation is a Report to the Club of Rome 2019. • Serves as a guidebook for decision-makers, researchers and activists who need to navigate complex change towards sustainable development. • Inspires academics and practitioners alike to explore new routes towards co-creating responsible futures in the era of the Anthropocene. • Translates a pattern approach to systems theory into a practical guidance for planning and implementing interventions across all sectors of society. • Sets a new direction in the field of sustainability transformations and will become a foundation for planning collective action and achieving impact at scale. Find out more about “Stewarding Sustainability Transformations” in this short interview CLI’s Managing Partner Douglas F. Williamson run with Dr. Petra Kuenkel. Dr. Petra Kuenkel shares what was her motivation to write the book, how it became to be accepted as a new report to the Club of Rome and who is this book an obligatory read for. More interviews and podcasts on the book can be found on petrakuenkel.com/stewarding-sustainability-transformations/. An Emerging Theory and Practice of SDG Implementation.